Last weekend, it dawned on me that I was going to be leaving for my vacation to sunny Florida in two weeks. I can’t believe how quickly time has flown by. But I was really frustrated with myself because for the past month I had completely let my exercise slide. I didn’t seem to have time to work my exercise routine into my day anymore. I still wake up early, but I am using that time to shower and not rush to get all four kids out the door. My workouts were constantly on the back burner, and my body had gone soft. This was not how I wanted to feel on vacation. I want to feel good with whatever I put on. I want to feel stronger and more firm. I am not looking to drastically hit my weightless goal, just sculpt my body a little. 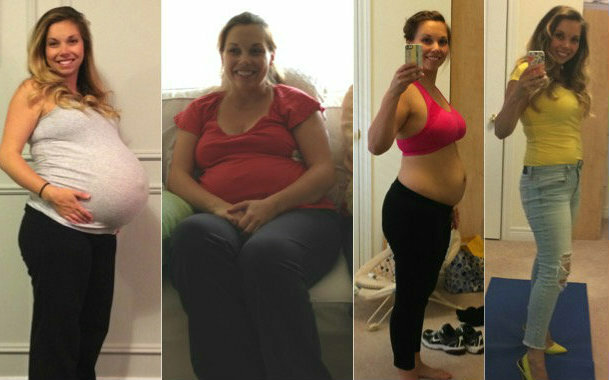 I have come a long way in a year with my weight-loss after having my twins, my body just needs a little more attention than I have been giving it. That’s when I decided to create a challenge for myself. I would set my timer everyday for 20 minutes and workout daily for two weeks (until I leave). For me, making smaller goals is more attainable. I have found that my sweet spot is when the kids are all in bed. I sneak into my workout room, put something to watch on my iPad, set my timer and go. I am on day five now and honestly, I am loving it! I am finding this routine is very do-able, and dare I say it, enjoyable. Just after these few days, I am already seeing my waist reappear and my thigh jiggle is calming down when I race up the stairs. An added bonus: I have suddenly become much more patient with my kids. I think my brain can somehow handle this 20 minute idea. It doesn’t scare me. I have NEVER been an athlete. I refuse to play a sport with a team or a ball, and like my grandfather says, anytime I get the urge to exercise, I lay down until the feeling goes away. But this tiny increment of time is something that I can handle. Are you wondering what my at home exercise routine is? 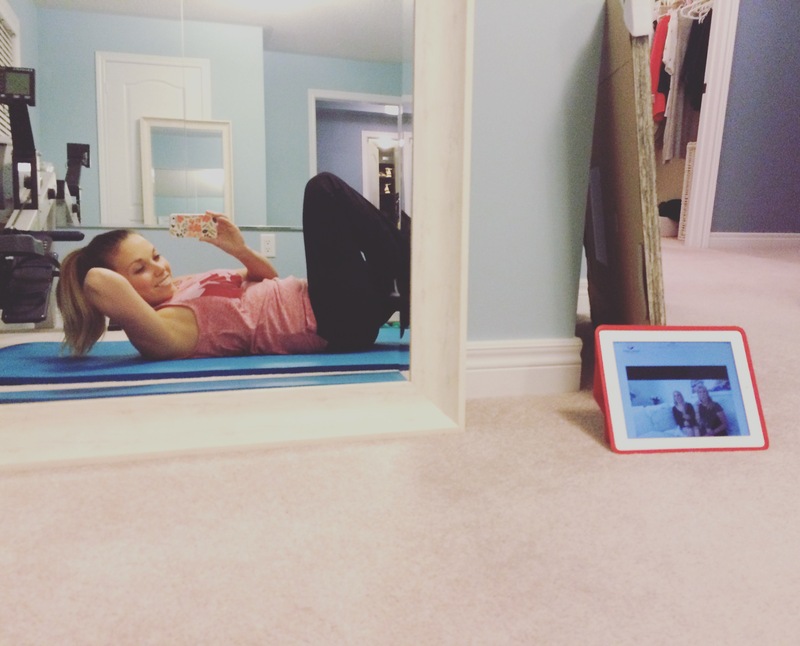 Check out my post about it: My Busy Mama, Super Easy, Do It At Home Exercise Routine. Once I am done this routine, I hop on my treadmill for the remaining time and finish when the timer goes. I am kind of using these two weeks as guinea pig trial. Once these two weeks are up, I am going to make a new goal… stay tuned. Wow it’s like we share a brain. It’s refreshing to me to read a post from someone who didn’t get fit by running 5-10 miles a day at 5 am. I have 3 kids 4 and under (youngest is 2 months) and am scrambling to come up with time to workout. I savor every moment of sleep i can get and I love that you sneak away at night and only do it for 20 what a great idea! I can do this!